So, who are you rooting for? 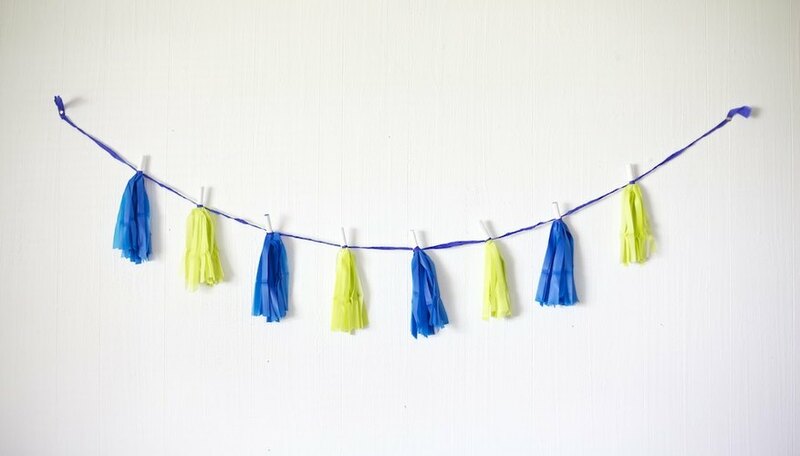 Cheer on your team with a pom pom garland in your colors. 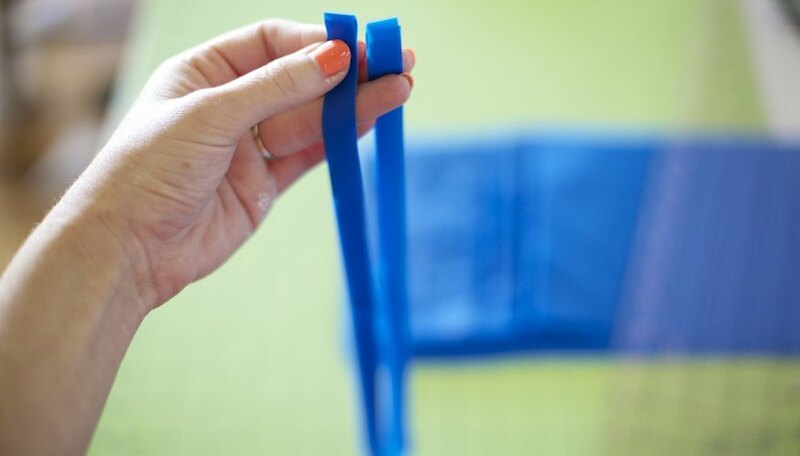 This quick and easy project will add tons fun and team spirit to your game day celebration. 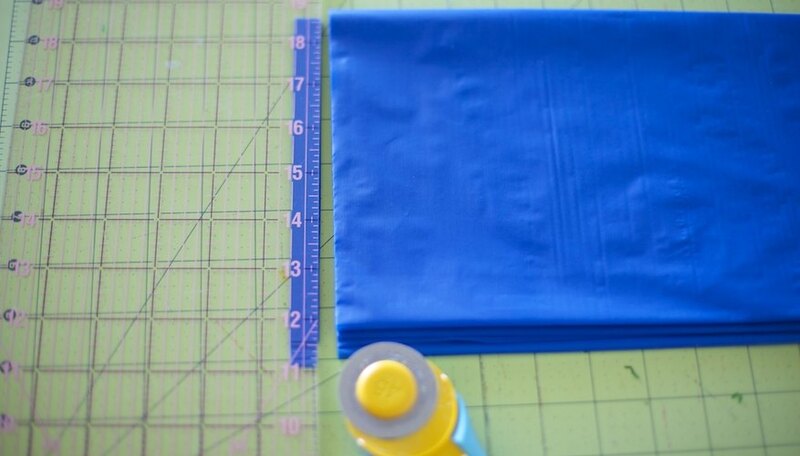 While the tablecloth is still folded, trim off uneven edges with rotary cutter. 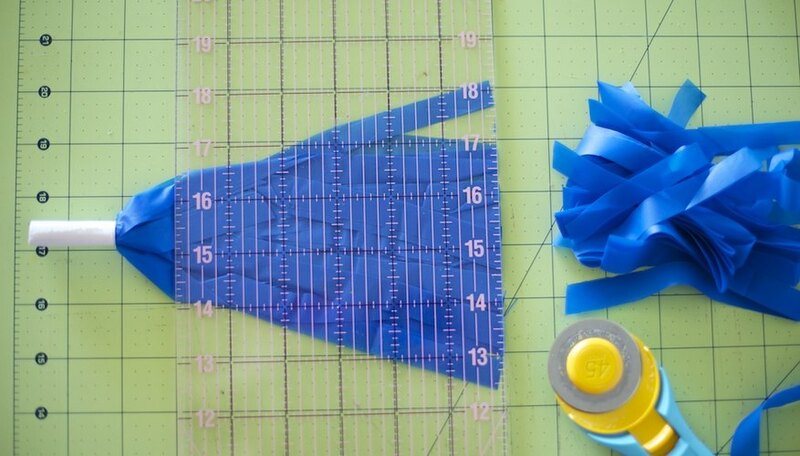 Cut 10 half-inch strips per pom pom. 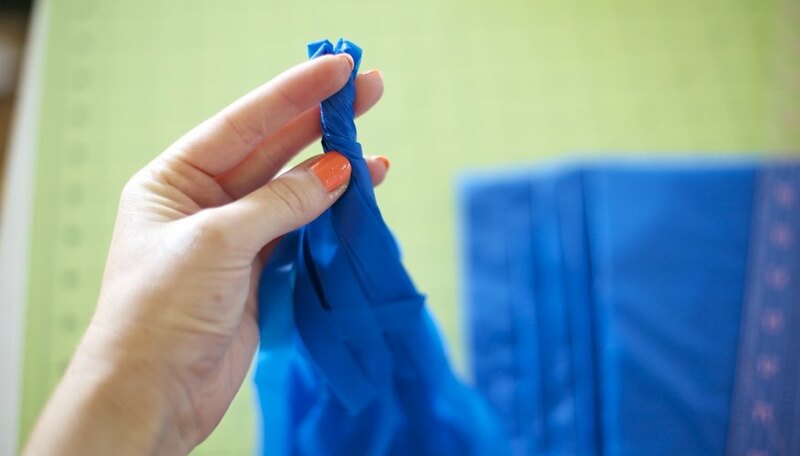 Pick up strips by the middle fold. 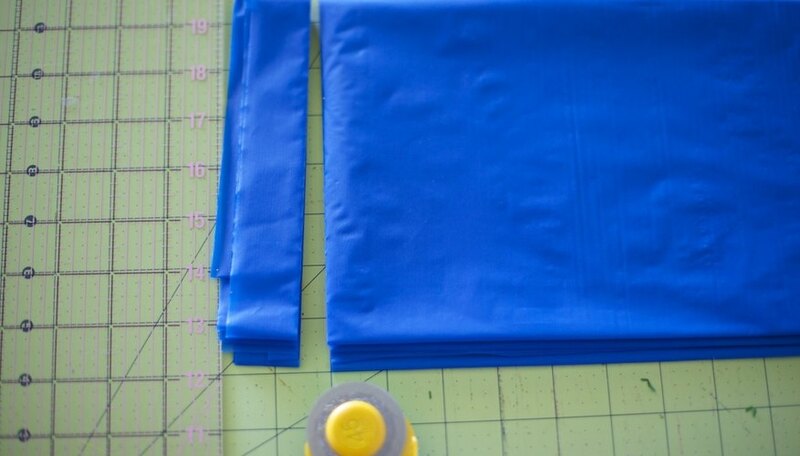 There should be four layers to each strip. Twist tops of the strips together. Wrap a 4'' piece of duct tape around the tops. Lay pom pom down and trim ends to about 7''. 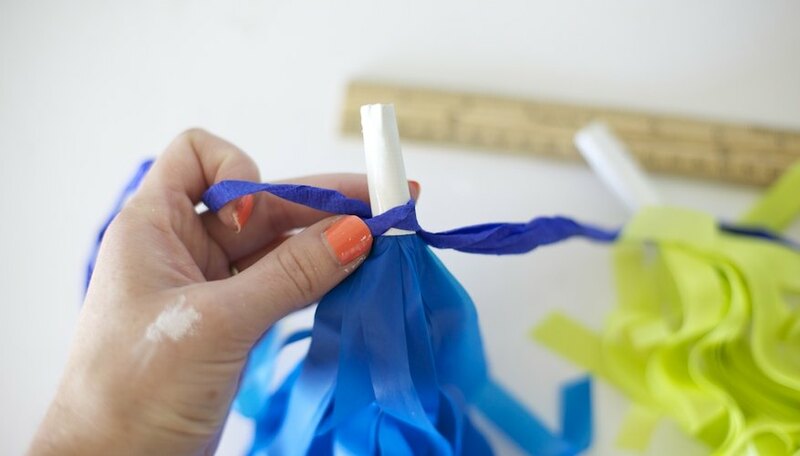 Tie a string, ribbon, or twisted crepe paper around the top of each pom pom, about 6'' apart. 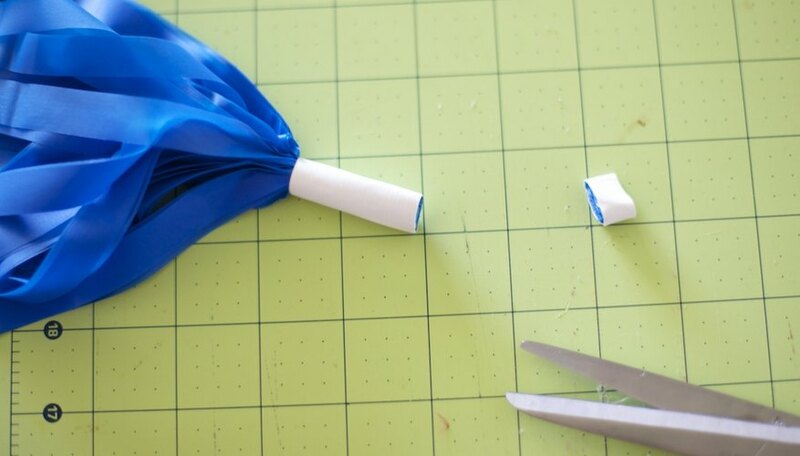 Each table cloth will make approximately 15 pom poms, so feel free to make a longer version, or a few garlands to hang around the house. Disney Powless is the author of the popular DIY and lifestyle blog Ruffles and Stuff. Her creative work has been featured in many magazines and publications and her first book, "Little Fixes" will be published in summer 2014. She and her family live in Washington State.